Alienware is showing off four new systems at this year’s gaming-focused E3 conference. The lineup include the Alienware 13 OLED notebook, a new version of the Alpha Steam machine and new Aurora and Area 51 desktops. Dell first teased the Alienware 13 OLED laptop at CES in January, but is now launching it officially starting at $1,299. The device packs a Samsung-made panel featuring a resolution of 2560x1440, a contrast ratio of 100,000:1 and a 1–2ms response time. Dell claims these are the lowest response times for any notebook currently on the market. Inside its carbon-fiber, anodized aluminum and copper case you’ll find up to a 3.16GHz i7-6500U CPU, up to 16GB of DDR3L memory and either a GeForce GTX 960 with 2GB GDDR5 or a GTX 965 with 4GB GDDR5. The Alienware 13 OLED is also compatible with the Alienware Graphics Amplifier for some serious gaming when docked. Other features include Klipsch speakers, a 4-cell 52-watt-hour battery, two USB 3.0 ports, one Thunderbolt 3 port with a USB-C connector, 802.11ac Wi-Fi and Bluetooth 4.1. The living room centric Alpha is also getting an update with support for the latest Intel Core CPUs, an an optional M.2 SSD and up to 16GB of RAM. The base version offers an AMD Radeon R9 M470X with 2GB of GDDR5, while the higher-end Alpha will offer a GeForce GTX 960 GPU with 4GB of GDDR5. 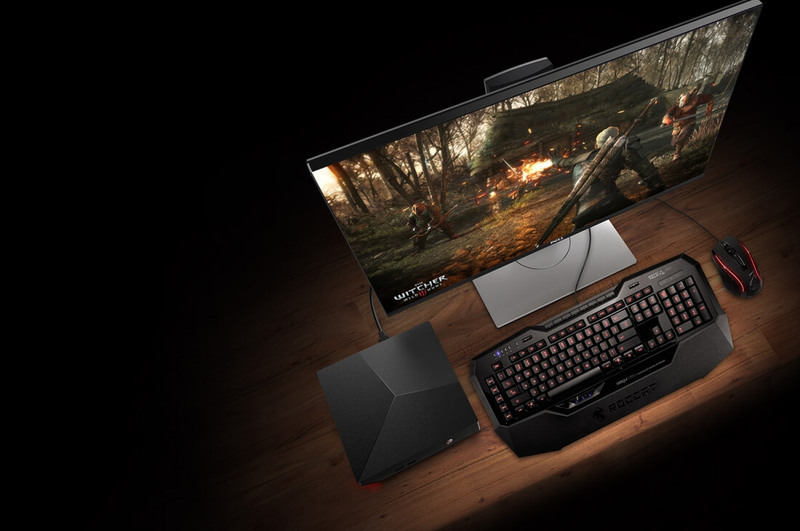 Starting at $599, the Alpha will also support Alienware’s graphics amp, and will come in two variants, a standard version with Windows 10 and another billed as a Stem Machine which launches directly into Valve’s environment. Rounding out the announcements are a pair of powerful desktop systems with the new Aurora and Area 51. The former is a tool-less mid-tower that starts at $799 and can be specced up with any 6th generation Core Intel chip, up to 64GB of DDR4 RAM, a pair of graphics cards including the GTX 1080 , a 1TB M.2 PCIe SSD with 2GB of RAID HDD storage and liquid cooling. The machine is designed to make future upgrades easy. Lastly, the latest Area 51 desktop retains the massive, triangular design of the original, but now features a liquid cooled Intel i7 Broadwell-e CPU, DDR4 memory and either Nvidia SLI or AMD Crossfire technology (up to three cards). Pricing starts at $1,699 but expect to pay plenty more for a fully souped up build.